So much to see. See much to do. So little to worry about. Whether you're plummeting down a waterslide in the Aqua Park, playing with the little ones at the Kids Aqua Park, or just lounging poolside, each of NCL's ships will offer a poolside experience for everyone in the family. 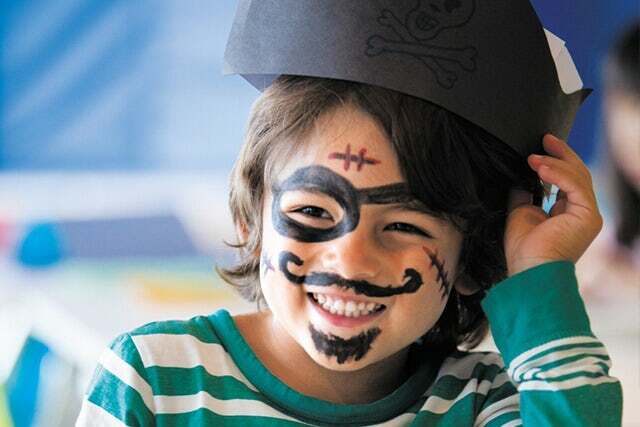 NCL are the only cruise line teamed up with Nickelodeon to create a one-of-kind, family-friendly experience onboard with lots of exciting and engaging activities and events. You and your family will experience a vacation you won't soon forget. Especially, if you get slimed. Introducing Splash Academy and Entourage. NCL's newly redesigned, complimentary kids and teens programs. Here, with our well-trained staff your kids will explore and experience engaging activities with kids their own age. Maybe even make a new friend or two. So enjoy a bite to eat, a relaxing massage or get a little shopping done. You can be certain your kids are having fun in a safe and supervised area. Juggling. Spinning. Tumbling. Your kids will learn and perform all kinds of cool tricks in our family circus show presented by Hilario Productions. All services can be reserved when you board the ship. Choose from an array of luxurious treatments and pamper yourself. Read your Freestyle Daily to find exclusive treatments and special offers. When you want an even more memorable experience, our ships' specialty restaurants provide refined choices. Children 3 years old and younger always eat free, and children 4 - 12 can choose from a complimentary kids menu or can enjoy the full specialty menu for 50% off. NCL's fleet of ships offer live entertainment every day and every night. Whether you are looking for something intimate like the singers in the lounges or you want to laugh till you drop with The Second City® comedy troupe, you'll find something perfect for you. Then, there's the award-winning and inventive Blue Man Group, who you can only see aboard Norwegian Epic. And, with special events like the White Hot Party and amazing production shows, you'll be laughing, singing and dancing throughout your cruise.